Market State 2: Bullish (5 trading days): Market State 2 represents a low risk bullish market environment. 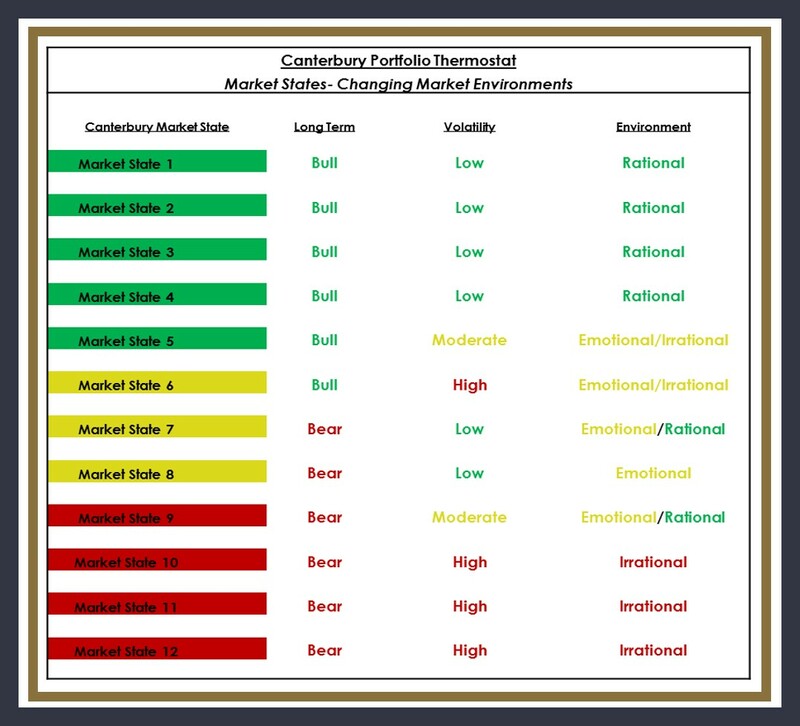 In fact, the five “bullish” Market States are typically representative of rational and efficiently traded environments. The risk, during bull Market States is the same as a typical bull market correction of about 10% from the highest peak value. 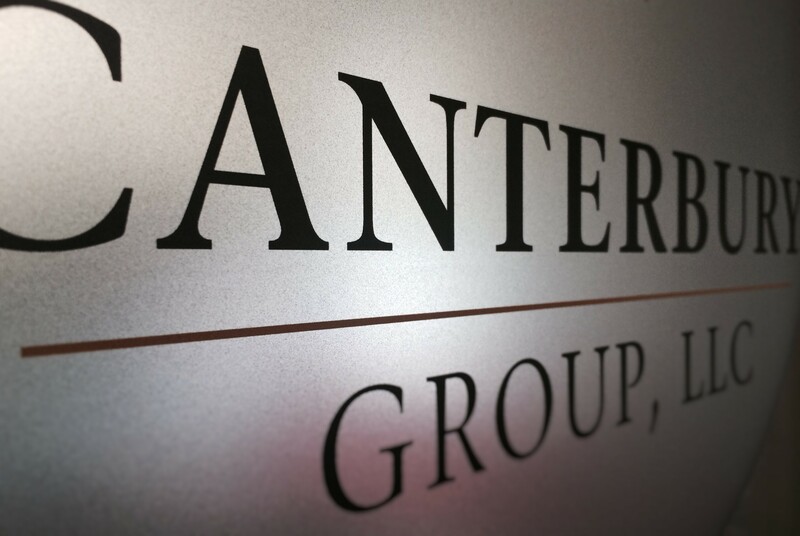 The Canterbury Portfolio Thermostat methodology stresses the importance of limiting risk to no more than a normal bull market correction through all market environments. The portfolio should also be in a position to participate in the upside of those asset classes that maintain bullish Security State characteristics. The optimal volatility range, using the CVI as the measuring tool, is from CVI 75 on the high side and CVI 50 on the low end. An extremely low volatility reading, like the current CVI 44, is not necessarily a negative indicator. That said Canterbury studies have shown that extended periods of very low market volatility can lead to a one-day outlier of 1.75% or more (up or down) or a short period of higher than normal volatility. Any decline should still be limited to the normal bull market correction ranges. It is year-end again. We can expect the same questions as always. How did you do last year? How do you think the markets will do this year? There are many theories about what drives future market changes in value, such as price evaluation, corporate earnings, the state of the global economy, fiscal or monetary policy. The law of supply and demand is the driver for markets and any other assets that are liquid and readily traded. Although there are many investment styles and beliefs, most experts will agree that the “calendar” has no impact or predictive value on market prices. Markets do not produce consistent returns from month to month or year to year. In other words, markets will not meet the expectations of investors who are hoping to see their assets grow by 2%-3% per quarter to average 8%-12% by the end of each year. In fact, markets are much more likely to produce a wide range of consecutive annual returns that would be more similar to: up 3%, down 3%, and up 33%. Three years with a consistent 8%, 10%, 12% would be highly unlikely. In addition markets will behave counter to what most investors would expect. As I mentioned in the last update, most of the profits made in equities came after the election when most were expecting a substantial sell-off. The substantial sell-off did come but it was in “conservative bonds.” The U.S. Treasury Bond ETF (TLT) was down about 10% from election day to mid December. Markets can see ahead but they cannot see a year ahead. The calendar does serve many useful purposes, particularly for fixed events. The calendar will keep you from missing an appointment. It can accurately predict the changing seasons or tell us when is the longest and shortest day or a solar eclipse. On the other hand, the calendar cannot judge the success or failure of variable or random events like market performance. For example, what if the markets measured annual returns based on the Chinese calendar instead of our customary Gregorian calendar? The start and ending dates for each year are only a little different. According to our calendar, January and the first part of February of 2016 was one of the worst beginnings of a new year in the history of the markets. 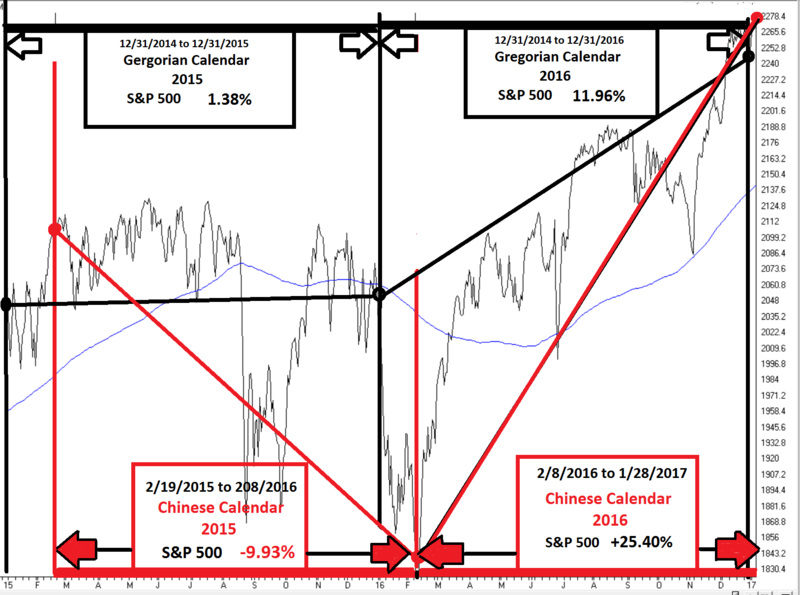 According to the Chinese calendar, January through February 7 would have been included in 2015’s return instead of 2016. Thus, what a difference a few days made in the perception of returns. It is important to understand that random times like months, quarters or years have little or no correlation with markets. It only takes a few adjustments in the periods used to see a substantial difference in results. The only important calendar is the investor’s life calendar. Investing is a lifetime process. The most important factor in long-term returns is risk management. One must have a methodology to limit portfolio declines to normal bull market corrections of 8% to 12% measured from the highest peak value. A portfolio should not trade-off return for lower risk by holding substantial amounts of cash or short term bonds. Low risk can be maintained by holding the most efficient combination of securities to match the current market environment. The most efficient portfolio is the one that can produce the highest returns while incurring the least risk. Do not worry about random market noise over arbitrary calendar periods. Instead, focus on “risk adjusted returns.” Make sure that your portfolio can adjust to manage the risk of difficult market environments.